Join us for an exciting gift on February 10th! 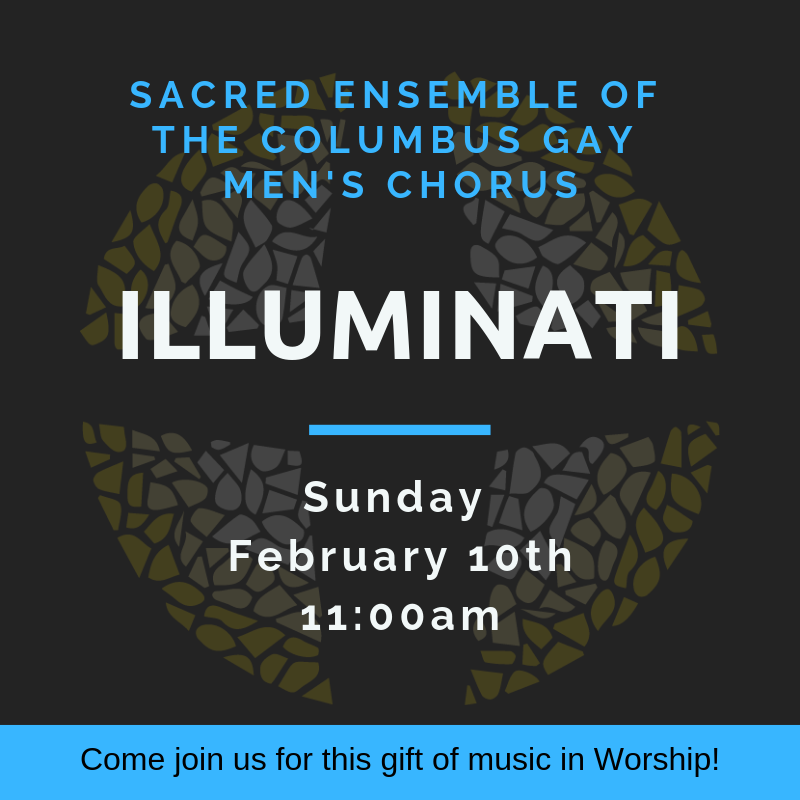 The sacred ensemble of the Columbus Gay Men’s Chorus will be sharing with us several songs in the midst of our regular 11:00 am worship service. Illuminati (“The Enlightened Ones”) performs monthly at churches and events around central Ohio. They are a proud bridge between LGBT and religious communities and work to demonstrate that we all have a place in God’s family. This gift of music is given by Sally Long as a dedication to her mother, a longtime member of Messiah. Come and worship! Come and welcome! Come and be drawn in by the beautiful voices of Illuminati.